As my colleague Gabrielle Bluestone noted yesterday, Saleh has made several hoax videos that have gone viral, including one just last week where he pretended to stow away on a different airline, and an infamous one in 2014 that purported to show the NYPD harassing them when they were in more traditional shalwar kameez-style tunics and kaffiyehs. They later admitted the video was a “dramatization,” which is to say fake. 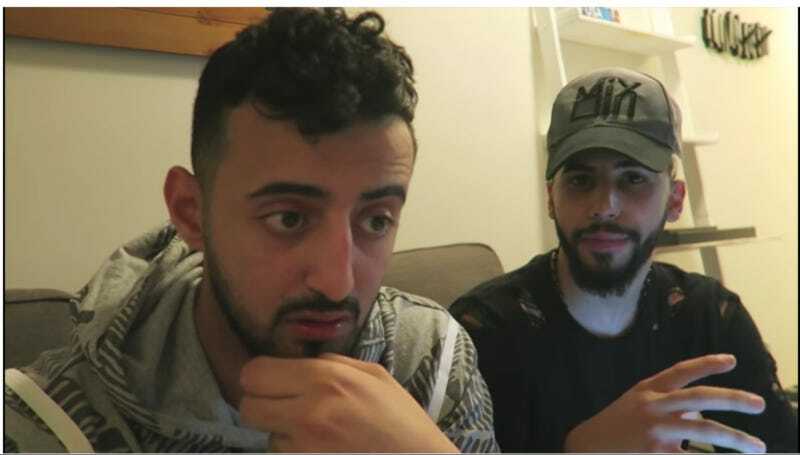 But he and Albaher are adamantly stating that this one isn’t a hoax, in a new video released Wednesday night with more footage of the incident. Both men ruefully said the situation feels like “the boy who cried wolf,” and that they recorded the incident once they realized they were getting kicked off the plane. “I’m as calm as I can be,” Saleh responds.